Our length measuring device guarantees the right delivery length of a final product to your customer and it will secure right lengths of semi-finished products in your production. Belt Length Measuring Device BLMD 40 is a length measuring device that uses a caterpillar, formed by a flexible timing belt. The cable is guided through a pair of guide rollers on each side of the length measuring device. An encoder transmits signals to a solid state electronic counter. BLMD finds applications in the production of cables, tubes and wires, particularly in cases where an expensive product is manufactured, which requires accurate length measurement. 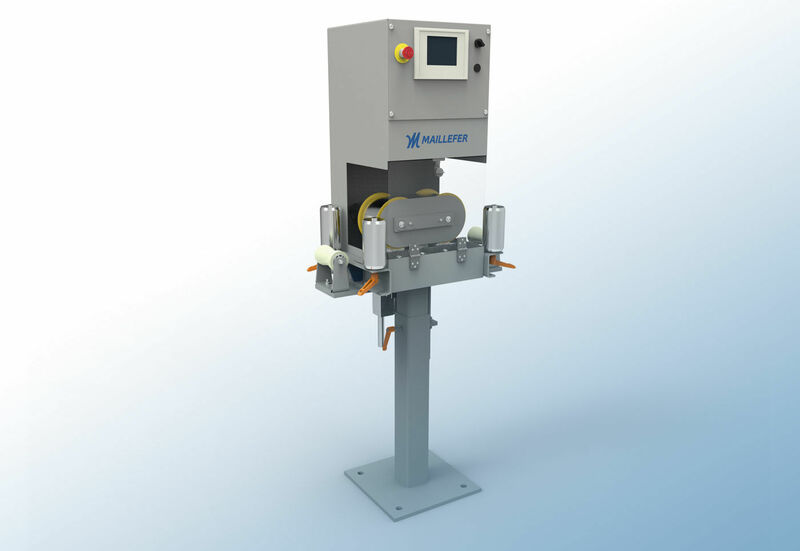 The gauge head consists of a safety covered belt mechanism including an encoder. Standard guide rollers are located at both sides of the device.